Call 1-877-920-7435 now to speak with a qualified professional about finding a Delaware detox center. Get detoxification help in DE - fill out the form below or call us for assistance. There are a limited number of beds at detox centers in Delaware. 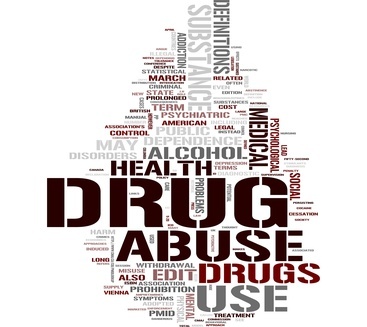 Accessibility to detoxification services is an issue in Delaware since the vast majority of substances abused in the state typically require supervised medical detox before entering a rehabilitation program. These substances include opiates of all types as well as alcohol. Many detox centers simply follow their standard procedures, which can still be very uncomfortable for people, so a facility that pays attention to the individual requirements of each person admitted is much more effective. If someone is weaned off too quickly or the right medication isn't provided during the withdrawal process, then the patients can experience a wide range of symptoms during detoxification, depending on their physical make-up as well as the substances they've been using prior to admission. We will work with you to help locate a a detoxification facility for someone from Delaware that will provide for the needs of each individual in a comfortable, relaxed and professional atmosphere to take as much discomfort out of the detox process as possible. Contact us for more information or assistance in locating a center today. Call 1-877-920-7435 to speak with a detox center helpline representative. When dealing with substance abuse, one of the reasons addicts continue to use rather than seek help is a fear of withdrawal. This is especially true in Delaware because of the significant percentage of users who are on opiates. This is also why detox is such an important first step in the overall continuum of care. Once someone is ready to take that first step toward recovery in Delaware, having the right detox center in place is vital. We will assist you in locating a detox facility, keeping in mind that it may be necessary to go out of state to find one that fits all of the important criteria for your situation. An average length of stay in a medical detox facility is about one week. This can sometimes be less with lower amounts of alcohol, but can also be longer than two weeks with high doses of opiates or benzodiazepines. An estimated amount of time can be given during medical assessment prior to admission, but there is never a guarantee of the exact number of days due to individualized circumstances. Only the doctors, nurses and other appropriate staff can decide this with the client once the process is nearing completion based on symptoms, doses of stabilizing medications and reactions. Whether you are seeking help for yourself, a friend, family member, co-worker or someone else, contact us today for more information about detox centers in Delaware and how to locate the best detoxification facility to fit your needs. Call 1-877-920-7435 now for assistance locating a detox center for someone from Delaware. We can help you learn more about detox centers in DE. If you wish to speak with a counselor right away call 1-877-920-7435.